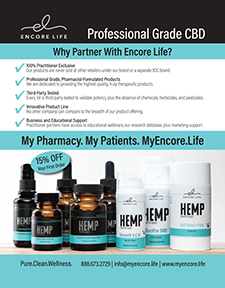 Consultation and Immunization Spaces Expertly Crafted by Uniweb, Inc.
Encore Life is the only practitioner exclusive, pharmacist formulated CBD company in the United States. 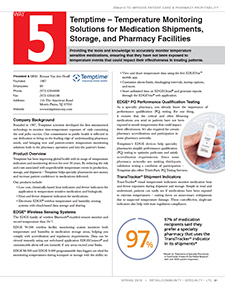 Providing the tools and knowledge to accurately monitor temperature sensitive medications, ensuring that they have not been exposed to temperature events that could impact their effectiveness in treating patients. 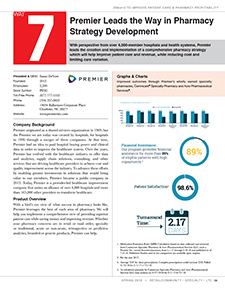 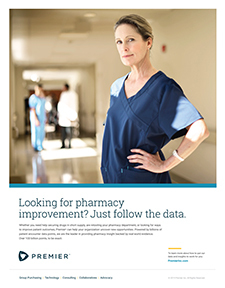 With perspective from over 4,000-member hospitals and health systems, Premier leads the creation and implementation of a comprehensive pharmacy strategy which will help improve patient care and revenue, while reducing cost and limiting care variation. 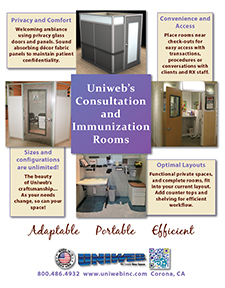 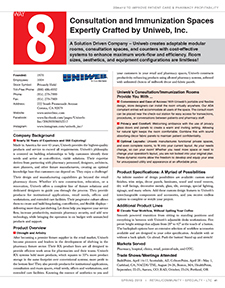 A Solution Driven Company - Uniweb creates adaptable modular rooms, consultation spaces, and counters with cost-effective systems to enhance maximum work-flow and efficiency. 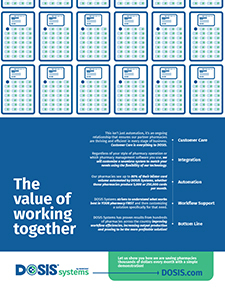 Room sizes, aesthetics, and equipment configurations are limitless! 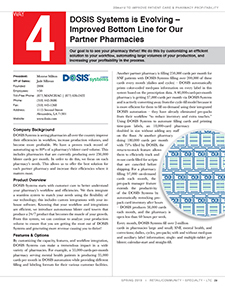 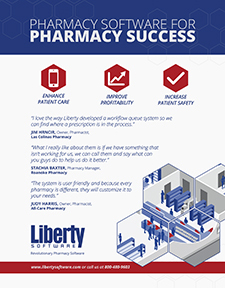 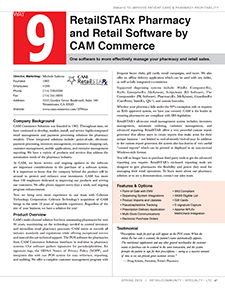 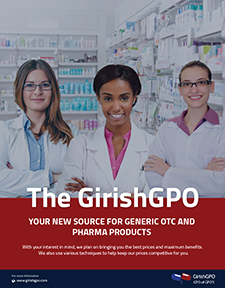 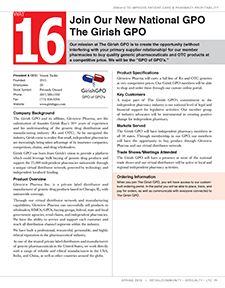 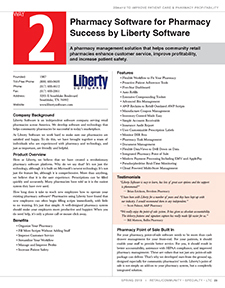 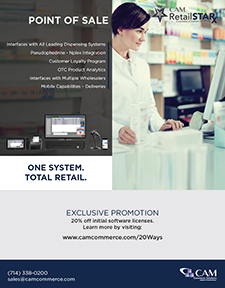 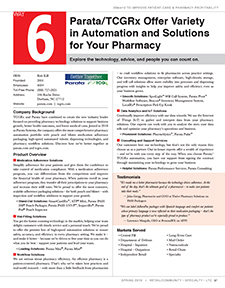 One software to more effectively manage your pharmacy and retail sales. 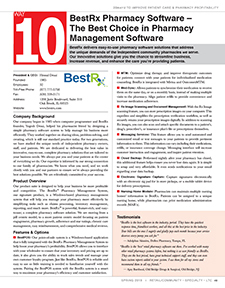 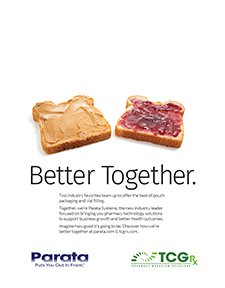 BestRx delivers easy-to-use pharmacy software solutions that address the unique demands of the independent community pharmacies we serve. 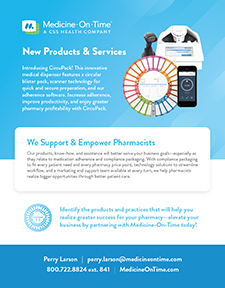 Our innovative solutions give you the chance to streamline business, increase revenue, and enhance the care you're providing patients. 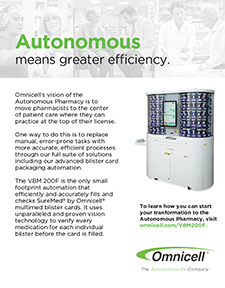 The scripClip Will Call System uses advanced, Silicon Valley technology which promotes patient safety and medication accuracy. 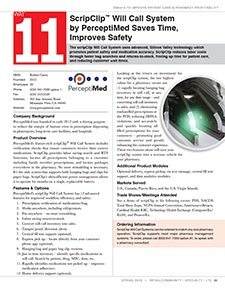 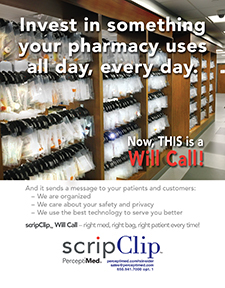 ScripClip reduces labor costs through faster bag searches and returns-to-stock, freeing up time for patient care, and reducing customer wait times. 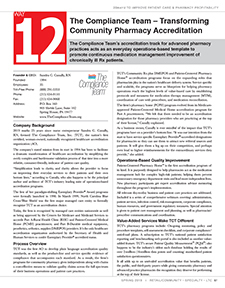 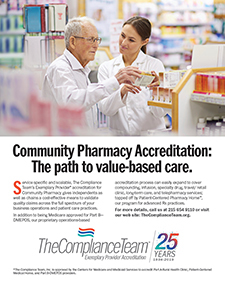 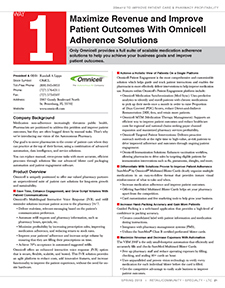 The Compliance Team's accreditation track for advanced pharmacy practices acts as an everyday operations-based template to promote continuous medication management improvement of chronically ill Rx patients. 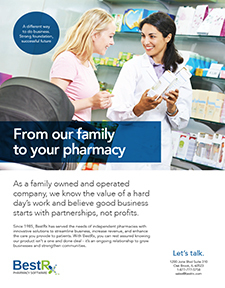 One check. 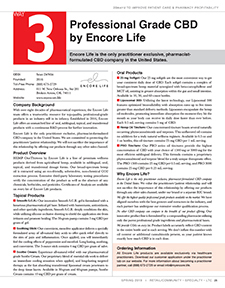 More choices. Reclaim time spent tracking expired product return credits with Return Solution's OneCheck Select so you can focus on what matters most - your customers and your business. 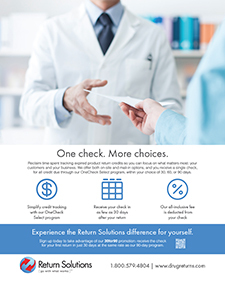 Receive a single check, for all credit due through OneCheck Select, in as few as 30 days. 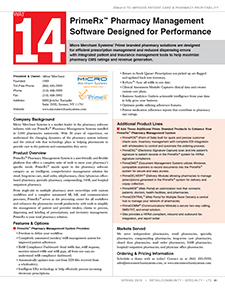 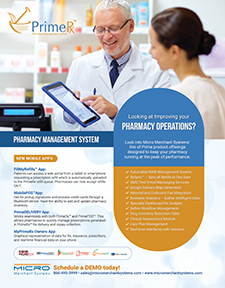 Micro Merchant Systems' Prime branded pharmacy solutions are designed for efficient prescription management and reduced dispensing errors with integrated patient and insurance management tools to help maximize pharmacy CMS ratings and revenue generation. 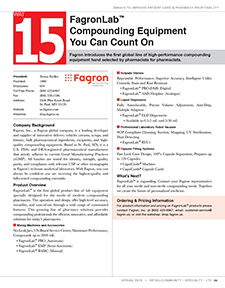 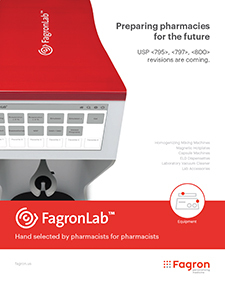 Fagron introduces the first global line of high-performance compounding equipment hand selected by pharmacists for pharmacists. 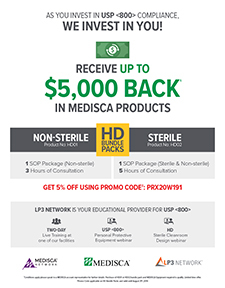 December 1, 2019, is the expected date of USP <800>. 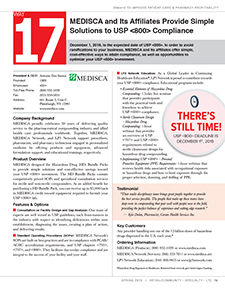 In order to avoid ramifications to your business, MEDISCA and its affiliates offer simple, cost-effective ways to attain compliance, as well as opportunities to optimize your USP <800> investment. 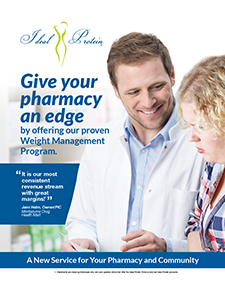 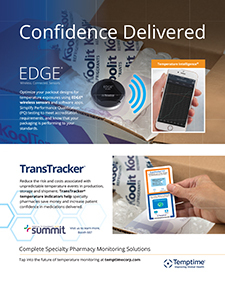 Our proven weight management program drives outcomes by providing proprietary tools, support, and systems that enable pharmacies to implement a new service line for patients and physicians in the community. 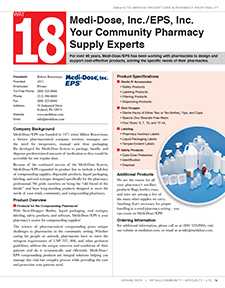 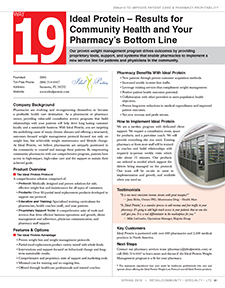 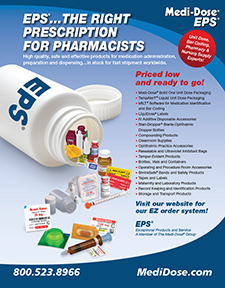 The 20Ways mission is to educate pharmacy management on products and services that serve to improve patient care or improve a pharmacy's financial bottom line while distilling and presenting this relevant information via 20 product-profiles. 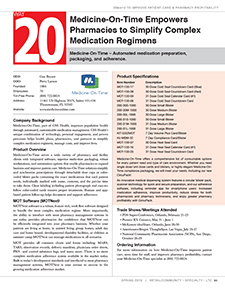 20Ways is a publication of RXinsider.